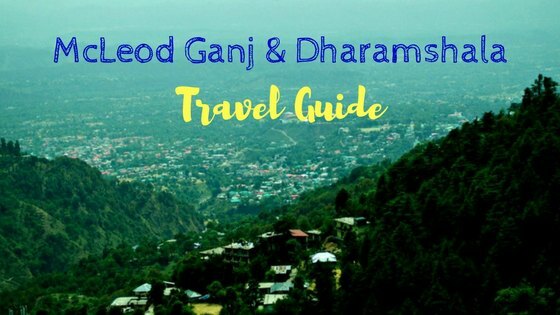 Before letting you know all about the places to visit in Dharamshala and McLeod Ganj, let me tell you how I happened to travel to these places. After a volunteering spree of 6 weeks in the quaint hamlet of Chaugan, Bir at Zostel, it was time for me to travel ahead in Himachal. From Kangra, I had a choice to travel in two directions – head to McLeod Ganj and tread to Jammu (my next stop) or stop over at Manali. I chose the first having heard many wonderful things about the cafe culture and the hippie vibes of McLeod Ganj & Dharamshala. But, maybe because I had experienced a far more blissful village life in Bir for a long time or it was the long weekend that got the places crowded, McLeod Ganj & Dharamshala didn’t enthral me as much. Once a quiet haven, both these towns are now no longer offbeat. Anyways, they are a favourite among the hippies and the backpackers and those looking for a quick getaway from Delhi or Chandigarh to the hills of Himachal (hence the crowd!). 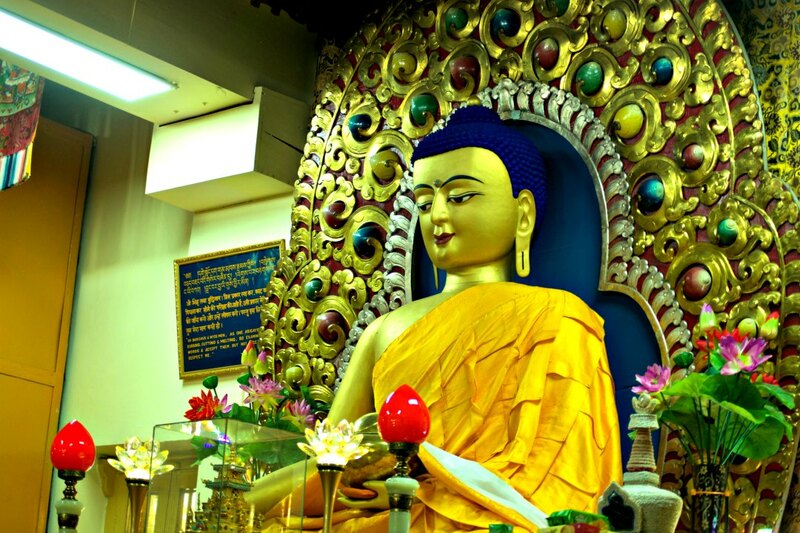 Check out this travel guide to know about the places to visit in Dharamshala and McLeod Ganj. Where to Stay in McLeod Ganj & Dharamshala? 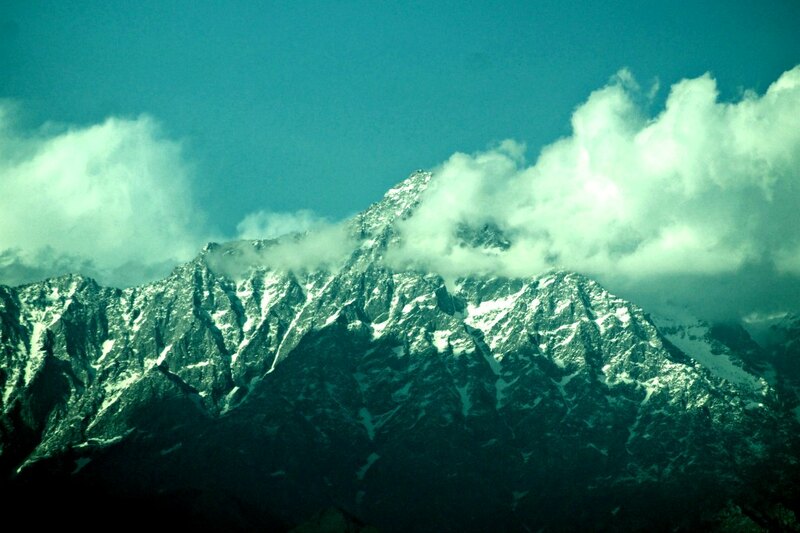 Dharamshala or Dharamsala is a city located in Kangra district in Himachal. 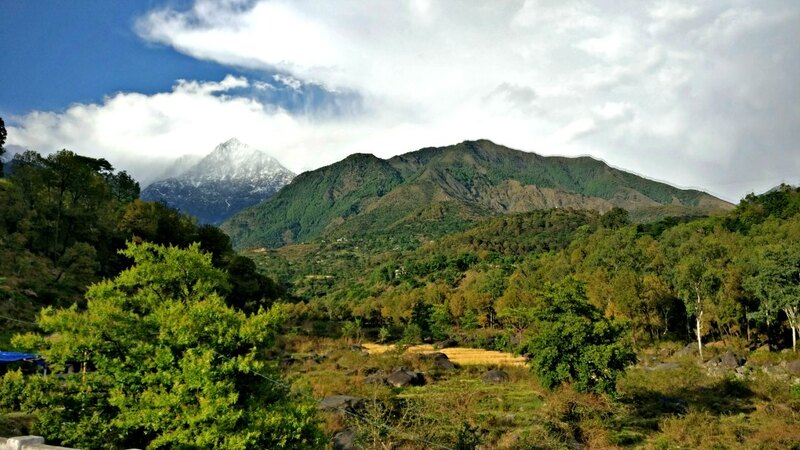 From being predominantly an abode for Tibetian Buddhists and a place to spend the summer, Dharamshala is now grown popular among the backpackers & hippies. I didn’t find anything to explore or places to visit in Dharamshala in the tourist sense and a few minutes into the city, you realise the same. Most of the people would direct you to upper Dharamshala or McLeod Ganj as it is better known. But your Dharamshala sightseeing definitely should include the highest cricket stadium in India if you are a cricket fan though! Read below to find out more. By Air: The nearest airport to Dharamshala is Gaggal airport in Kangra, located about 15 km. There are regular flights from Delhi every day. By Road: The distance between Delhi and Dharamshala is over 475 km. There are frequent buses from Delhi to Dharamshala, and it takes about 8 to 9 hours. 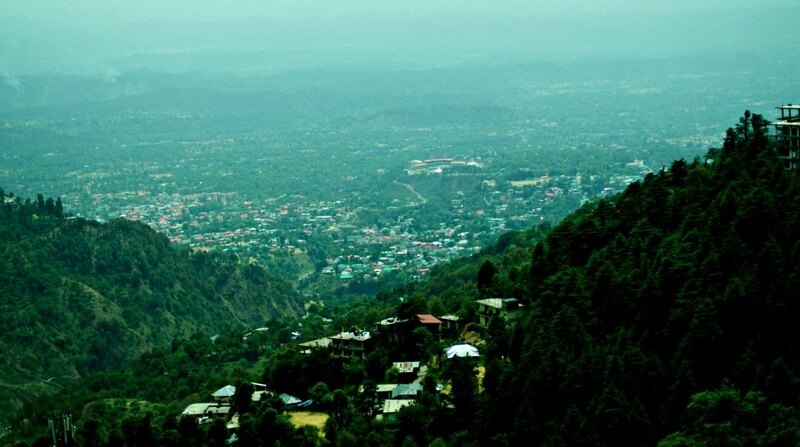 Apart from Delhi, major cities of Himachal are well connected to Dharamshala by road with regular buses. Some people also plan from Dharamshala to Dalhousie or return from Dalhousie to Dharamshala to continue their Himachal trip. If that is the case, note that there are limited buses to Dalhousie from Dharamshala and return as well. There is one public bus that leaves at 7 AM in the morning and reaches Dalhousie at 11:30 AM. Depending on the season, the buses run. By Train: The nearest railway station to Dharamshala is Pathankot, which is about 85 km. You can then take a cab or a bus to Dharamshala. Dharamshala to McLeod Ganj distance is about 5 km and you can travel from Dharamshala to McLeod Ganj in 20 minutes. Shared taxis, jeeps and public buses ply every 5 mins and hence commuting between Dharamshala and McLeod Ganj is not only a breeze but quite cheap too. McLeod Ganj is known as the little Lhasa of India for its Tibetan communities that have been inhabiting for a very long time, headed by the spiritual guru the Dalai Lama. 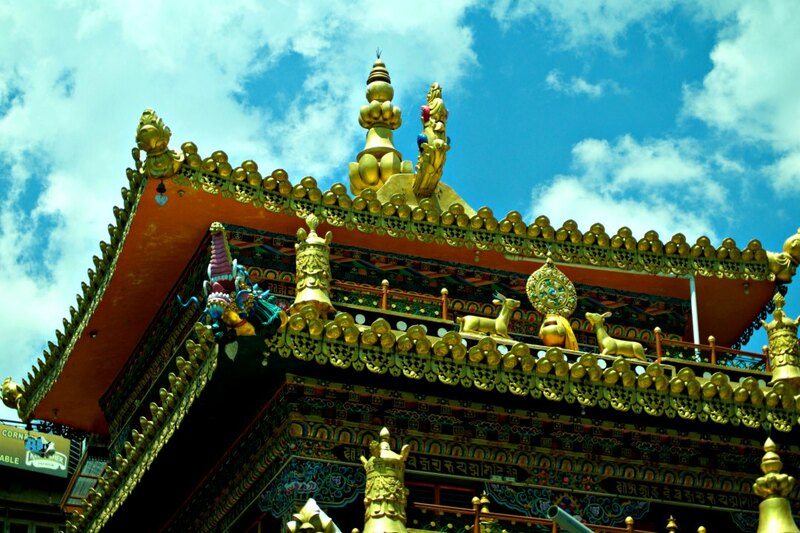 So obviously, visiting the Tsuglakhang Temple and hoping to meet the spiritual leader is high on everyone’s list and is also one of the top places to visit in McLeod Ganj. I was not lucky to meet the Dalai Lama, but you can get a chance if you plan your trip well ahead. There are regular workshops and occasional speech events where the travelers get a chance to interact with the Dalai Lama. Check the official website of the Dalai Lama here for the calendar of events in the monastery. Namgyal Monastery and the Tibetan Museum in the temple complex are the other places where you can get a glimpse of Tibetan Buddhism. There was a traditional ritual on the day I visited, and I saw the monks performing well practised slow steps to the tune of the trumpets. 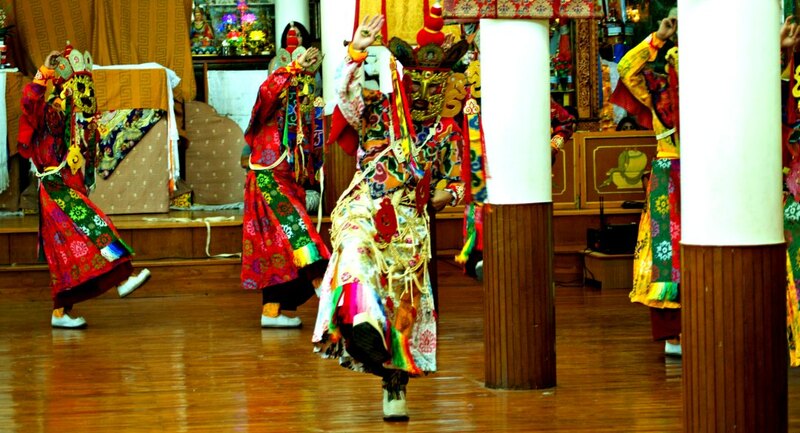 The vibrant attire and the huge masks of the monks looked well to blend with the loud chants of prayers. I’m not fond of touristy places and Bhagsu was one of them that I didn’t like for the same reason. Especially, Bhagsu temple was too crowded with the nearby pool occupied by too many men who were noisy and loud. You can skip this easily and get some fresh air and the views of the valley if you walk ahead of the temple to Bhagsu Waterfalls. Honestly, the waterfalls itself is not so great, but the trek to the place is worth for some views. There is a trek to be done to get to the foot of the waterfall but luckily you can see it from a distance and can save your energy! Triund is one of the most popular short treks in the Himalayas, and this snow trek is perfect for beginners to enjoy the majestic views of the Dhauladhar range of the Himalayas, with mountains studded with pine trees & the valley of Kangra that stretches to the farthest horizon. I didn’t do the trek as the snow had receded by the time I was there. But I met a lot of travelers who told that the trail is pretty clear and can be added as a DIY trek. You can either start early and come back the same day or camp at the summit. Ensure you carry the tents and the sleeping bags for camping though, as you don’t get them at the top. 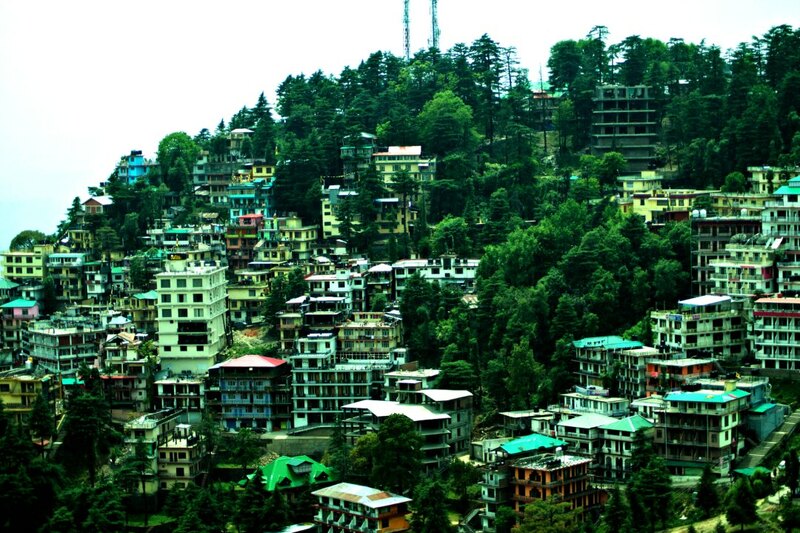 If you find McLeod Ganj to be too mainstream and touristy like I did, well, you have a village to escape. Located about 2.5 km from McLeod Ganj, Dharamkot, mostly well known for its hippie culture and the lazy cafes is quickly catching up as an alternative. I think it’s soon going to get mainstream as well! The cabs charge 300 INR for a return journey from McCleod Ganj. There are a few homestays/guest houses as well if you wish to stay there. Dal Lake, named after the famous Lake in Srinagar is a good place to walk and talk. There is nothing exquisite about it except the fact that it is surrounded by forest lined with tall trees, and looks serene. You can take a cab if you insist on visiting for 250 INR (which is expensive!). A better way is to take that long walk in the mountains and stroll beside the lake. Naddi is another village ahead of Dal Lake and is perfect for a walk in the evening for a pleasant sunset. 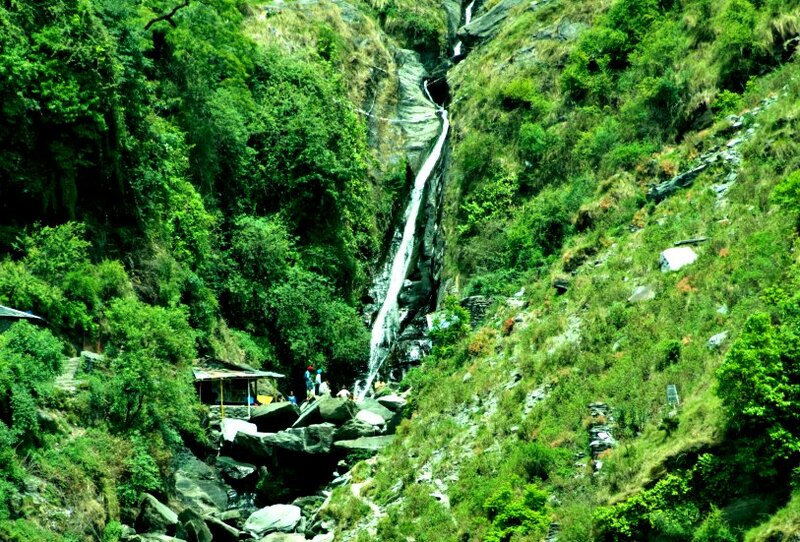 Combine it with the walk to the lake or drive in the evening to get away from the bustling McLeod Ganj. 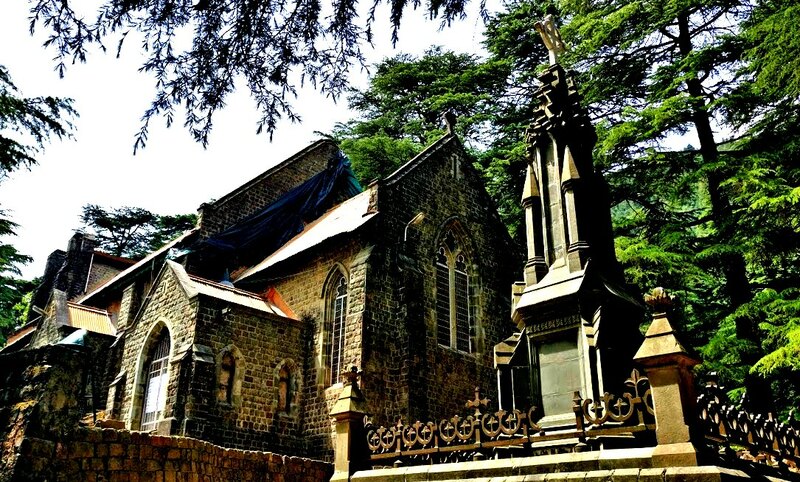 St. John’s Church bears the name as the church in the wilderness due to its secluded location amidst the canopy of trees from the main town. It’s on the way to Dharamshala and you can either walk or drive. 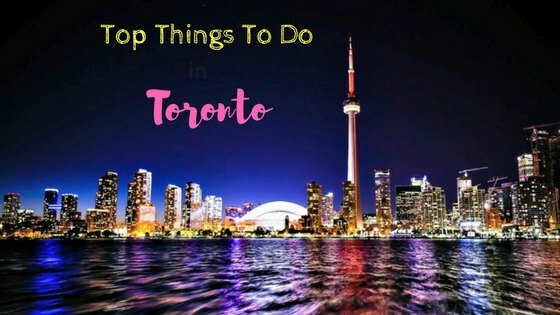 Again, not a must-do attraction but doable if you are in the habit of checking off the list of places! Of all the things, going to the cricket stadium in Dharamshala was the most exciting part of my trip to McCleod Ganj. 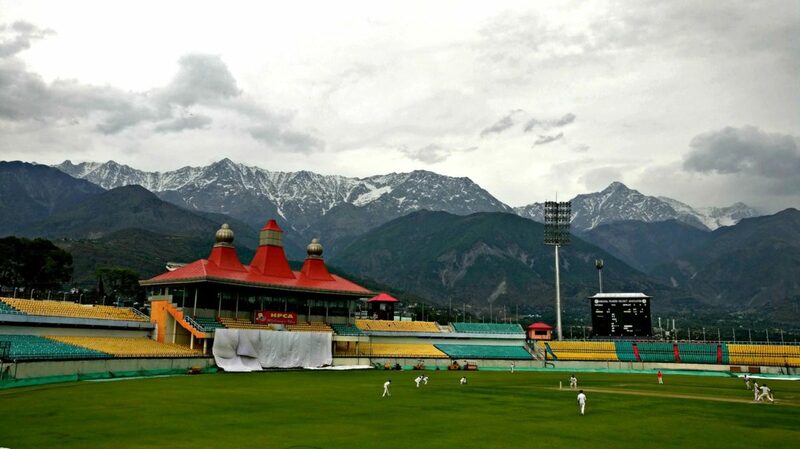 The HPCA stadium opened in 2013 is the prettiest cricket stadium in India, surrounded by the snow-capped peaks of Dhauldhar mountains that create a majestic backdrop up close. The cheapest way to reach the stadium is to take the public bus from Dharamshala bus stand. The laziest way to idle away in McLeod Ganj is to head to the cosy cafes and watch the world go by or do nothing. There are some good cafes for coffee, books and more in McLeod Ganj, which also have rooftop dining opening to the views of the valley. Also, there is plenty to do for the shopaholics as there is no dearth of hawkers and vendors on Mall road in McLeod Ganj. 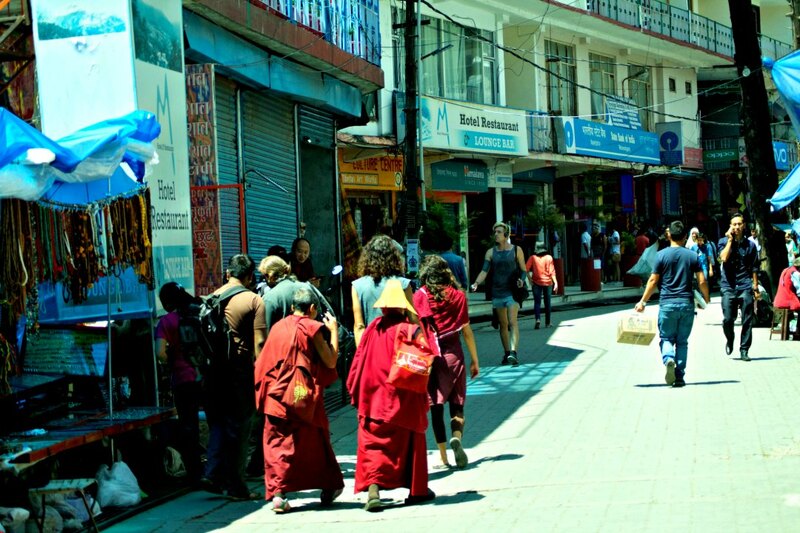 This Tibetan colony is home to pretty woollen wear, antique Buddhist souvenirs and more. 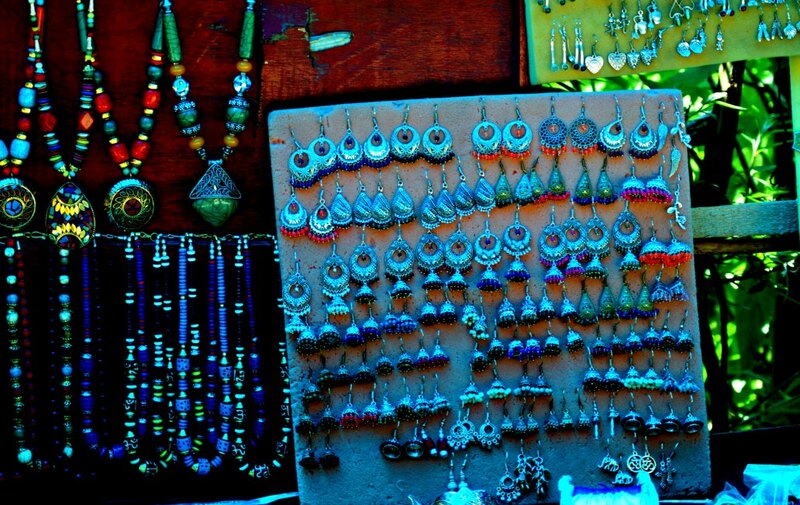 So shopping in Dharamshala or McLeod Ganj is fun for sure, but don’t forget to haggle a little as the shop owners usually quote very high prices. 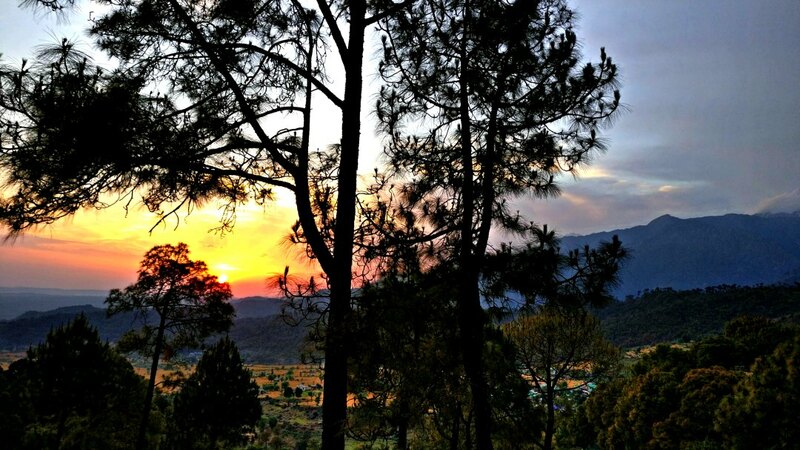 If you want to venture offbeat, I suggest visiting old Kangra enriched with history and nature. The old town is known for the Kangra Fort, the oldest fort in the Himalayas with a history of thousands of years, and the view of the Himalayas from the top is stunning. Reach Kangra from Dharamshala via a bus. From there, local buses go to the fort at regular intervals. You can also take a cab or a rickshaw if you intend to travel more conveniently. Obviously, McLeod Ganj has better options compared to Dharamshala, and most of the travelers choose between McLeod or Dharamkot or the hotels en route to McLeod Ganj from Dharamshala. I stayed at Bonfire hostels close to the Dalai Lama temple, and it was a good place at reasonable prices. 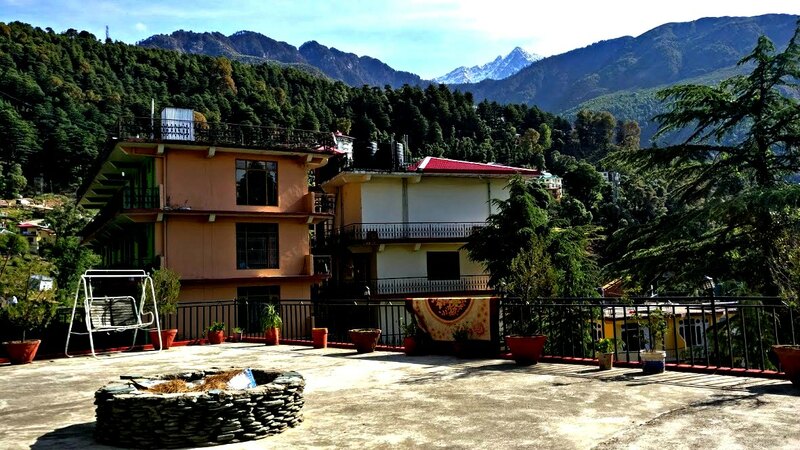 Hotels in Dharamshala were scarce a few years ago, but times have changed with the opening of backpacker stays, homestays and unique hotels in McLeod Ganj & Dharamshala. 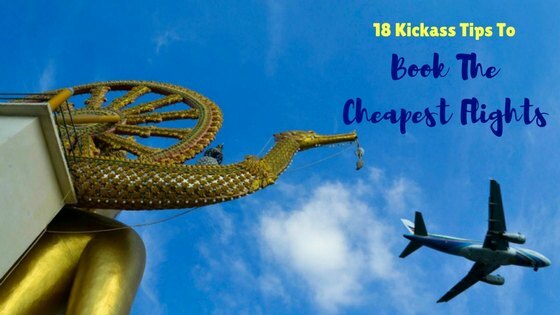 These are my top picks for stay at McLeod Ganj in different budget ranges. If you are looking for more options in terms of places to stay or the prices of hotels, check the below map to find your best hotels in Mcleodganj and Dharamshala. The best time to visit McLeod Ganj & Dharamshala is after the monsoons, from September until the onset of monsoons in June. Winter can be a bit harsh but can be managed, but avoid heading there during the rains. Also, Dharamshala weather is the best during the summer. Hence you’ll find many travelers from cities like Delhi, Chandigarh and Jaipur heading to McLeod Ganj & Dharamshala to cool off! 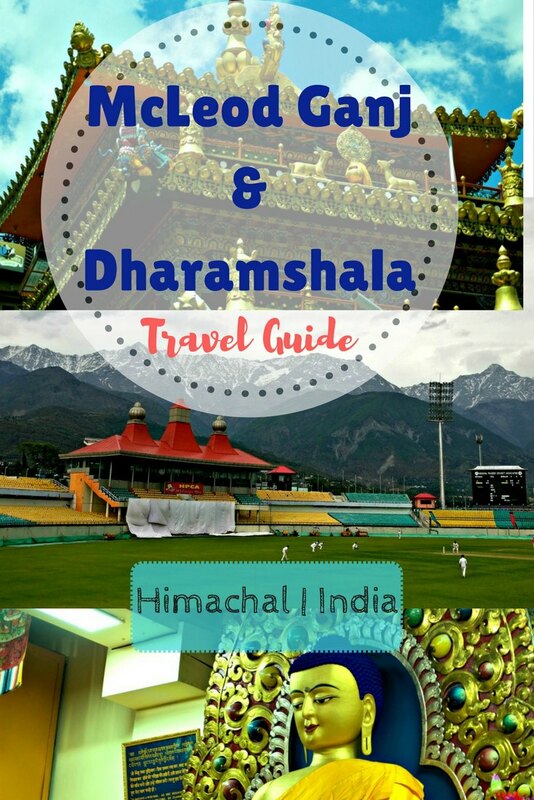 So this is it about the places to visit in Dharamshala and McLeod Ganj! 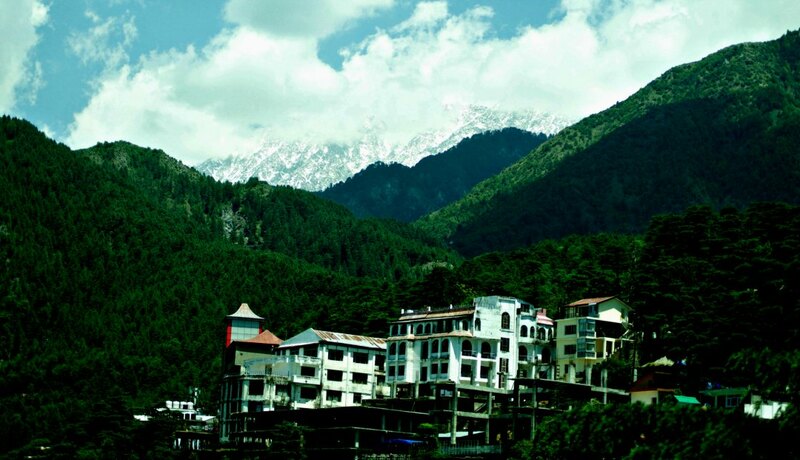 Have you been to McLeod Ganj & Dharamshala? How did you find them? Have I missed anything that you feel I need to add?